Sir William Kerr Fraser worked at the Scottish Office for 33 years and became permanent secretary at the age of 49 and was in this post until he became Principal at Glasgow University in 1988 and then Chancellor from 1996 until 2006. He was knighted in 1979, and then in 1994 he was awarded the more senior honour of GCB – Knight Grand Cross of the Order of the Bath. He died on 13 September 2018 aged 89. Lady Marion Fraser was a significant figure across the Scottish voluntary and cultural sector. She was chair of Christian Aid and this senior post in church affairs was the link to her appointment to the post of Lord High Commissioner to the General Assembly of the Church of Scotland – the official representative of the monarch. Only one woman had been handed the role before. Subsequently, the Queen installed her in the Order of the Thistle, Scotland’s highest chivalric order. Apart from royalty, it has only 16 members. This gave her a new title of Lady Marion Fraser – as she said – “a lady in my own right” – and at her death, she was the only non-royal woman to have been appointed a Lady of the Thistle. She died on 25 December 2016 aged 84. Now I would like to share with you some highlights and memories from the many times that Kerr and Marion visited and supported OSGUG. April 1990 – Freda and Carol attended Glasgow University Women’s Club in London and met The Principal – we were slightly in awe of him but when we chatted to him he immediately put us at ease. He brought along postcards of the University. 10 November 1990 – The visit by The Principal, Sir William Kerr Fraser, and Lady Fraser was very successful; there were 50 people at the meeting. The Principal gave a very interesting talk about the University which took each of us back to our student days. I remember he mentioned that the smelly loos underneath the Bute Hall had been refurbished and a visitor centre had been opened in that area. 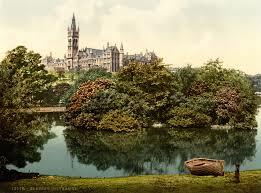 19 March 1994 – AGM – The Principal spoke about ‘Glasgow University, a 21st Century University’. He updated us on the old building refurbishment (the Stevenson and Anderson buildings); government funding councils; quality assessment and the desirability of ‘wealth-creating’ research. 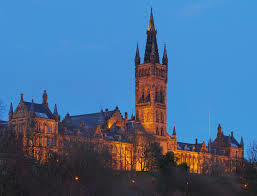 He commented that competition for students exists with the increased numbers of universities in the Glasgow area (four within 5 miles of the Gilmorehill flagpole). He concluded that the outlook for the future, despite problems, was not gloomy. At the AGM we presented Sir William with the final instalment of money for the OSGUG room in the Murano Street residences. 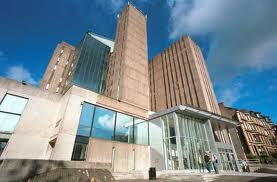 Sir William announced at the meeting that the residences would be opened on 19th April 1994. He also accepted a 65th birthday present and card from OSGUG with all our best wishes. 1995 – Sir William retires as Principal. 1996 – Sir William becomes Chancellor. 14 March 1998 – We were very pleased to welcome The Chancellor, Sir William Kerr Fraser, to the AGM. He gave a very wide-ranging talk about the University and developments and problems being encountered. He looked forward to the celebrations being planned in the University to mark the eleventh jubilee in 2001. He also commented that the projects that OSGUG is supporting were very important to the University. 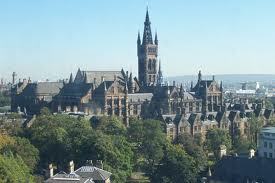 The fact that the Oxford Glasgow graduates name was attached influences others to help the University. He thanked OSGUG for their continuing support. He also spoke about St Andrews College, the sale of Westerlands, the Kelvin Gallery gaining lottery money and the Scottish parliament. 27 March 1999 – AGM – Lady Marion Fraser ‘A Royal Commission’ – We were very pleased to welcome Lady Marion Fraser. She spoke about her time as Lord High Commissioner and the history and responsibilities of the post which she held in 1994 and 1995. Her many amusing stories gave us a wonderful insight into the workings of the High Commission of the Church of Scotland. We hope that at a future AGM the Chancellor and Lady Fraser will be able to visit us together. The AGM unanimously agreed to ask The Chancellor if he would be willing to be our new Patron and we were very pleased that he agreed. 17 March 2001 – AGM – The Chancellor, Sir William Kerr Fraser ‘1451, 1999 And All That’. We were very pleased that (for the first time) the Chancellor and Lady Fraser were both able to attend the AGM. Sir William gave an entertaining and informative talk on the University and also the Scottish Parliament. 15 November 2002 – ‘London and Home Counties Alumni Reception in the House of Commons’. I attended this meeting and as I walked into the members lobby I met Marion and she greeted me so warmly. ‘Lovely to see a smiling face I know’. January 2006 – Sir William Kerr Fraser steps down as Chancellor but agrees to continue as OSGUG Patron.